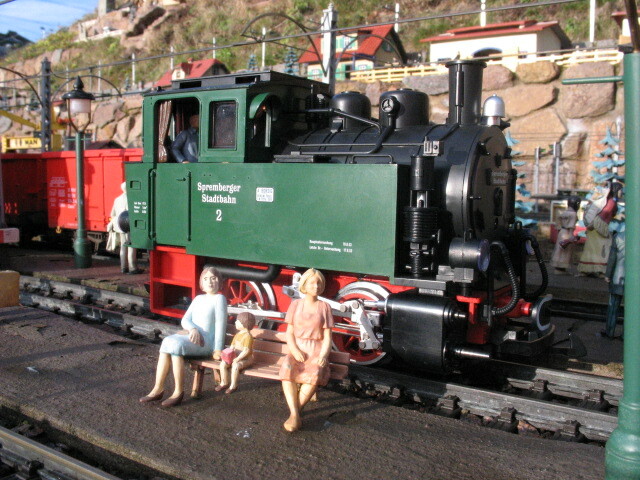 The Charnwood Forest Garden Railway (CFR) is located at Rothley station on the Great Central Railway, Leicestershire and is set as a European narrow gauge railway. Run separately from the GCR by our own dedicated team of volunteers, we operate Saturdays, Sundays and Bank holidays throughout the year. We have something to appeal to every generation of the family. Children can enjoy ourToyTownwhere they can spot lots of TV characters which they have grown up to know and love. 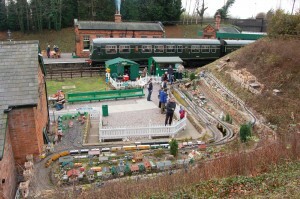 Our double track mainline with rack railway and mining branch is sure to interest the imagination of any railway enthusiast. 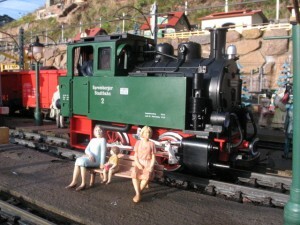 A new addition for 2012 is our Mamod area, running most weekends it’s sure to bring back memories for the older generation lucky enough to have had it as a child! 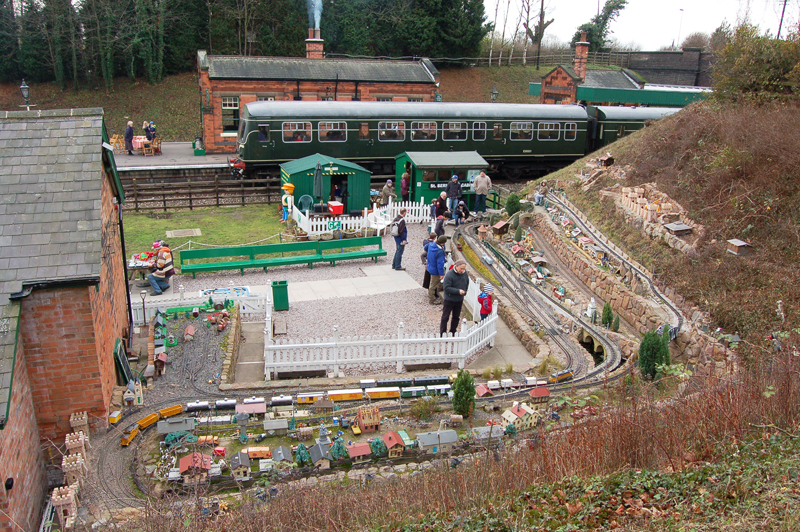 Depending on which days you visit, different rolling stock from different countries and eras will be running. Most Saturdays we run track powered locomotives, often in the form of eastern European trains (for example, DB Diesel or Swiss Steam). Sundays are normally our Live Steam days. Working on butane gas, water and oil, these are engines which are actually driven by steam that has been produced by heating water until it boils, just like the real thing. During most GCR family events the CFR puts on a Thomas & Friends extravaganza! 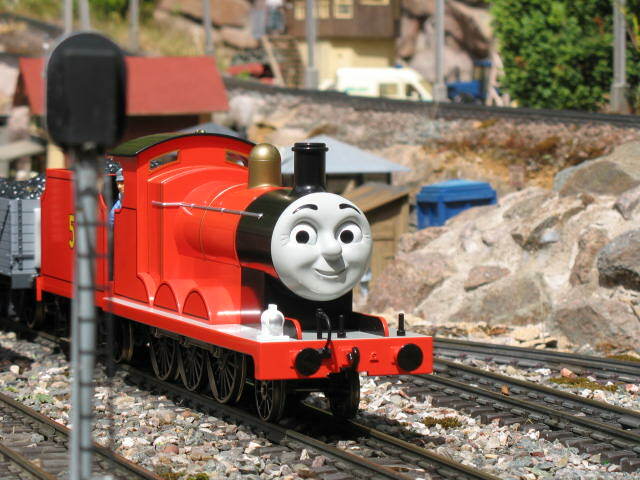 Not only are Thomas and the gang there for you to watch, for just £2 the kids can drive them for five minutes too! However, please confirm that we are running this experience with our website to avoid disappointment!